Voice recognition has surfaced as the tech trend of the decade, with voice-based digital assistants becoming part of homes as well as workplaces. 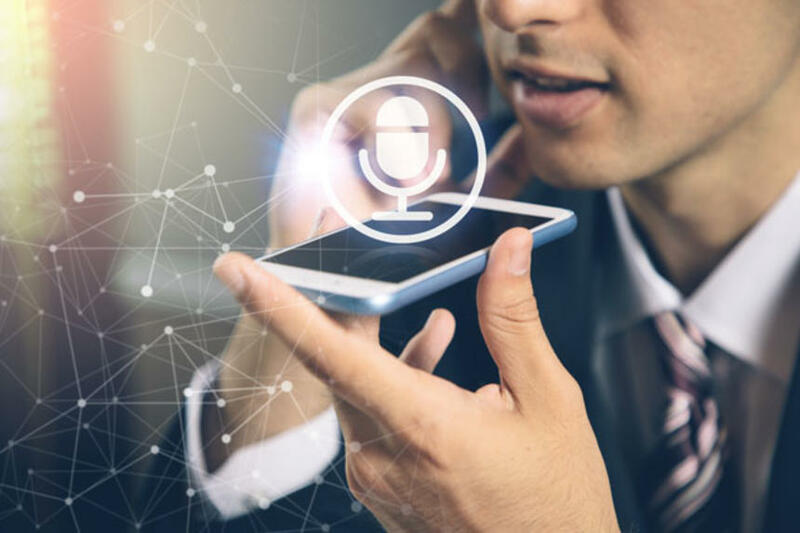 The impressive growth of Artificial Intelligence, Machine Learning, and Natural Language Processing have a key role to play in the elevation of voice recognition. These technologies empower voice-based apps to understand as well as mimic human speech with unmatched accuracy. The industrial impact of this innovative technology is immense, which is the reason that different business verticals are embracing it with open arms. While the overall objectives of voice-powered apps are to drive efficiency in operations, reduce business costs, and simplify processes, there are certain industry-specific benefits that they bring for different verticals. Let us explore the ways in which different industries are witnessing the amazing impact of this technology. Voice-activated solutions have brought all new opportunities for the banking and finance sector. Most of the banks and financial institutions are demanding the chatbot feature as a part of mobile app development services to capitalize on voice technology. Chatbots provide a conversational interface for the user and provide the customer support that is comparable with the provided by a human assistant. Customers can use voice commands to perform various functions such as checking account balances, obtaining transaction histories, and even making payments. Voice recognition also elevates the level of security in banking and financial transactions as it serves as a bio-metric recognition to authenticate genuine users. The retail and e-commerce sector has seen a transformational impact with the advent of voice search technology. There is no longer the need to search around the aisles in a retail store or sift through countless product pages on the e-commerce stores. While voice assistants like Alexa and Siri have revolutionized retail experiences, the addition of voice-based search functionality has simplified online shopping. All that the customer now needs to do is to speak up the product’s name or related search keywords and they will be directed to the relevant product(s), online or offline. Another industry vertical that has experienced the voice revolution is education as this technology is fast changing the way things are taught and learned. The futuristic voice recognition software enables the teachers to effectively create online lessons and video tutorials for the students. Similarly, it helps the learners get access to these lessons quickly and effectively. Voice-assisted solutions are fast emerging as the mainstay of customer experience in the transportation industry. For instance, public transportation companies are integrating voice-platforms that ease the booking processes. They can also be used to serve the customers with answers related to the next available option, transport routes, timings, and more. Voice recognition programs are finding increasing usage for legal practitioners. It can simplify routine tasks such as legal documentation, email management, and data entry, as it reduces the need for textual records and makes them voice-based. Similarly, the technology can help security departments in nabbing the criminals by getting evidence on the basis of voice matching for audio recordings. Clinicians can leverage the voice technology to collect patient information and create and maintain e-records in an easier and more effective way. It is also easier for them to access information from these records later, without having to go through thousands of them manually or by textual searches. The technology also enhances the security of the e-records as only the authenticated people will be able to access them. The benefits of voice technology extend to the recruitment vertical too as it simplifies the complex and repetitive tasks involved. HR professionals can depend on an AI-powered voice assistant to scour multiple recruiting databases and applicant pools and come up with a relevant set of candidates for specific job profiles. Similarly, marketing professionals can rely on voice assistants for easing up tasks such as the creation of reports and scheduling of social media posts. Despite these amazing benefits of voice technology that have been uncovered for various industries, this is just the beginning and the technology has a long way to go. Businesses need to embrace it well in time so that they can avail its advantage at present and be ready to get more in the future. The best way to do so is to connect with an expert application development partner who can create high-power voice recognition software for your business. We, at OrangeMantra, are capable of creating futuristic solutions with the most advanced technologies including voice recognition. Get in touch with us so that we can help your business embark on this transformative journey. Overall client rating is 4.9 out of 5.0 for Orange Mantra by 930+ clients on over 3,750+ projects.